As a voiceover (VO) actor, you are expected to manipulate your voice into believable characters for cartoons and other forms of animation. Though you may be naturally talented creating voices, in order to become a professional voiceover artist, you must undergo training and get signed by a talent agency specializing in voiceover actors. Enroll in acting classes with independent acting coaches or at community colleges, theater companies or acting academies. If you live in a larger metropolitan area, you may have several classes to choose from; however, if you live in a rural town, you may have to travel to a larger city in order to take classes. Acting classes are vital for voiceover actors--they teach you how to create realistic characters with your voice. Develop several cartoon character voices. In a word document, write the name for each voice and describe how this voice sounds and any quirks the character may have. Although you may be able to recreate hundreds of different character voices, when you book a voiceover gig, you may have to alter your approach to meet the creative goals of the client. Gather several cartoon scripts to record on your demo CD. Like any performance professional, you must have a sample of your work to show potential agents or clients your talent and range of versatility. Select at least three one-minute scripts. Each script should display your ability to alter your voice into different sounds. As a cartoon voiceover actor, you will be expected to create realistic voices that are noticeably different from each other. 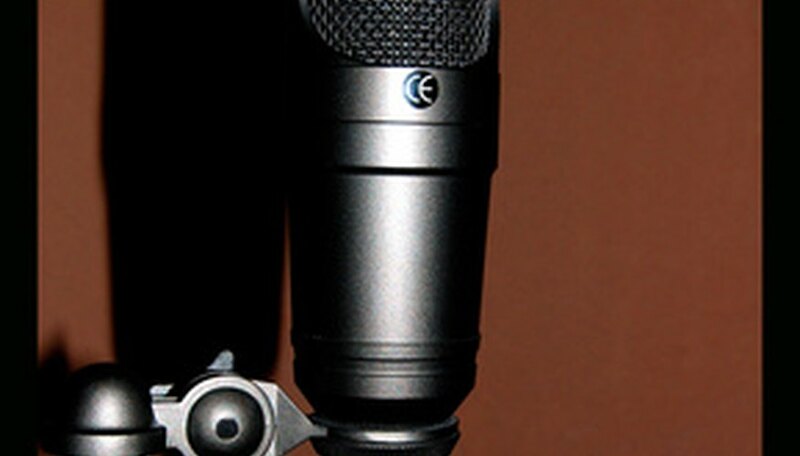 Record your demo CD by going to a professional recording studio or using a home-based studio. Professional recording studios use state-of-the-art recording and mixing equipment overseen by a sound engineer. Recording your demo in a professional setting may render higher-quality results, but expect to pay a hefty studio fee, which will vary from studio to studio). Recording in a home studio is a more cost-effective approach. Though you must invest in recording equipment, you are able to develop and archive new character voices without having to pay additional studio fees. A home recording studio should consist of a professional-grade microphone, audio recording software and a microphone preamp. All of these products can be purchased from a music retail store or through online merchants. Review your recordings before finalizing and placing the tracks onto a blank CD. After you have created your demo CD, you can then begin marketing yourself to voiceover talent agencies. Contact talent agencies within your area that specialize in voiceover actors. You may find talent agencies by searching your local business directory or reviewing the Association of Talent Agents Member Directory. Call agencies within your area and inquire about their submission process. If the agency is looking for new talent, submit your demo CD, resume and a cover letter explaining your career goals (working in cartoons) as well as any vocal/acting training you’ve undergone. If an agency is interested in working with you, a talent contract will be offered and you’ll be on your way to booking your first gig. Spend time creating various character voices before recording a demo CD. Take voiceover specific acting classes, if available, to strengthen your vocal talent. Never sign with a talent agency if they require an enrollment fee or if their commission rate is higher than 20 percent. A legitimate talent agency only makes money from work secured through their efforts.